Hi, I just have a quick question I can't seem to Google up an answer to. A friend of mine lives in Australia and really wants a WalMart exclusive doll. I've been on the look out for her since I live in the USA, but I was wondering how people outside of the United States usually get store exclusive dolls? Are they funneled through a different retailer, or is their only option eBay/Amazon/a friend who doesn't mind the shipping charges? Catrine's Art Studio / Ask C.A. 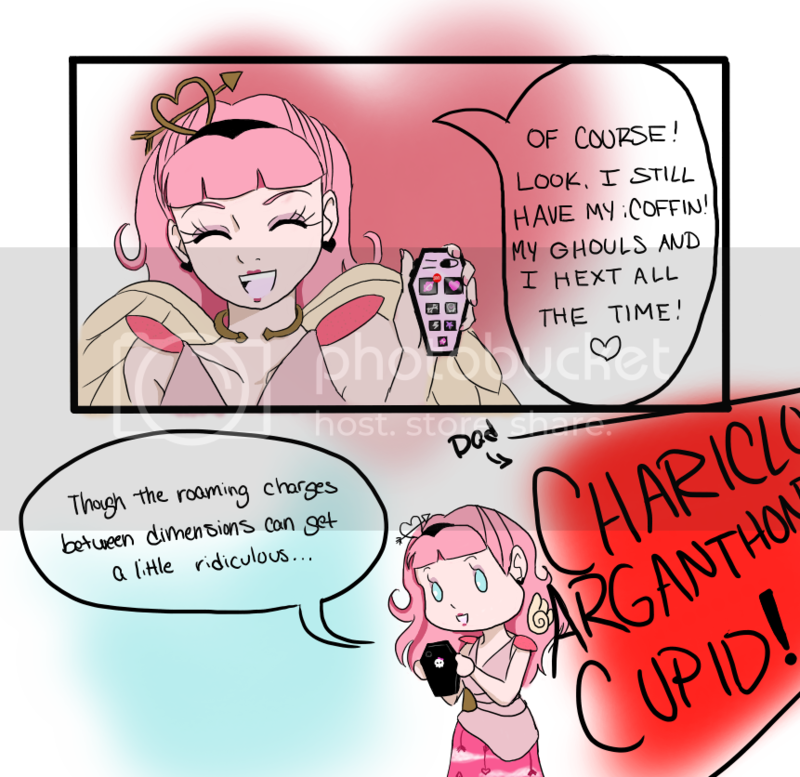 Cupid! Back in the day, I used to be really into drawing, but after trying to go to school for it, I found a loved it less and less. I didn't draw for a long time after that, but now I'm finally ready to get back up and try again. To do that, I started an ask blog on Tumblr called Ask C.A. Cupid. I've only answered a couple questions so far, but it's really good practice and it's been a fun way to ease back into drawing. 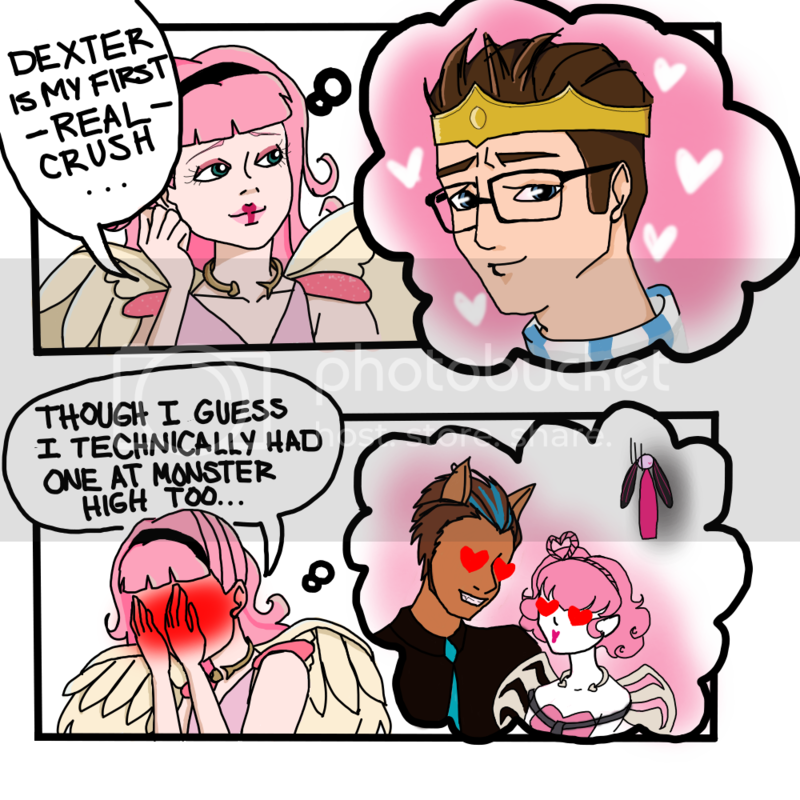 Answer to "Is Dexter your first crush or did you like someone before transferring to Ever After High?" 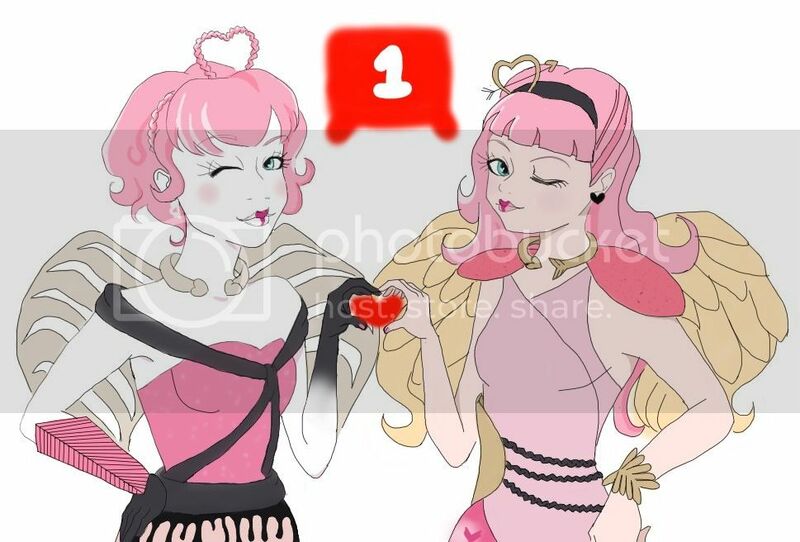 Answer to "So, do you still keep in touch with you'r ghoulfriends back @ Monster High, I've always wondered about that." Let me know what you think, and if you have any suggestions for improvement, I'm all ears! 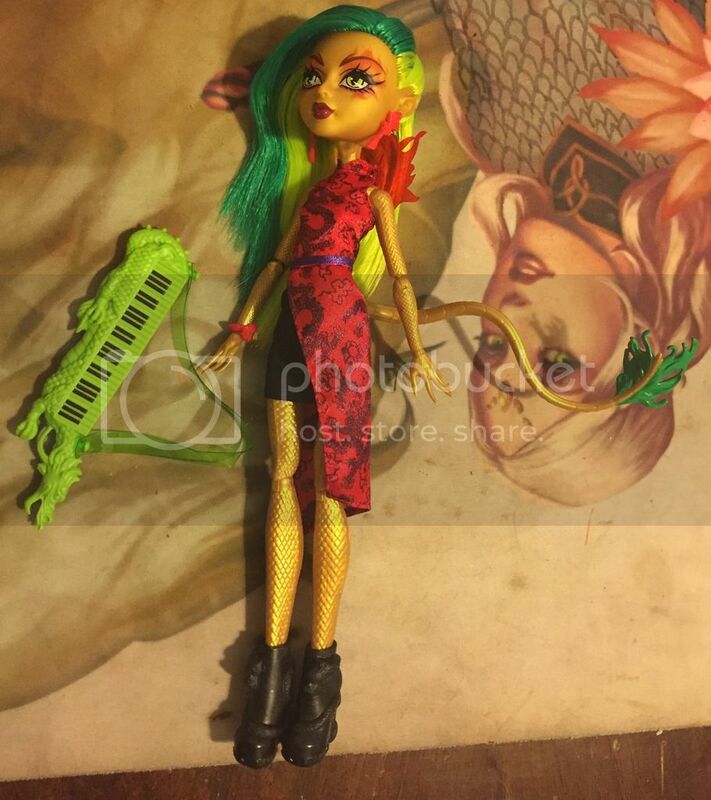 Sales / Sweet 1600 Draculaura and Clawdeen for sale - prices dropped! Hi everyone! This is my first time selling on the Arena, so please bare with me. Mods, please let me know if I'm doing anything wrong. 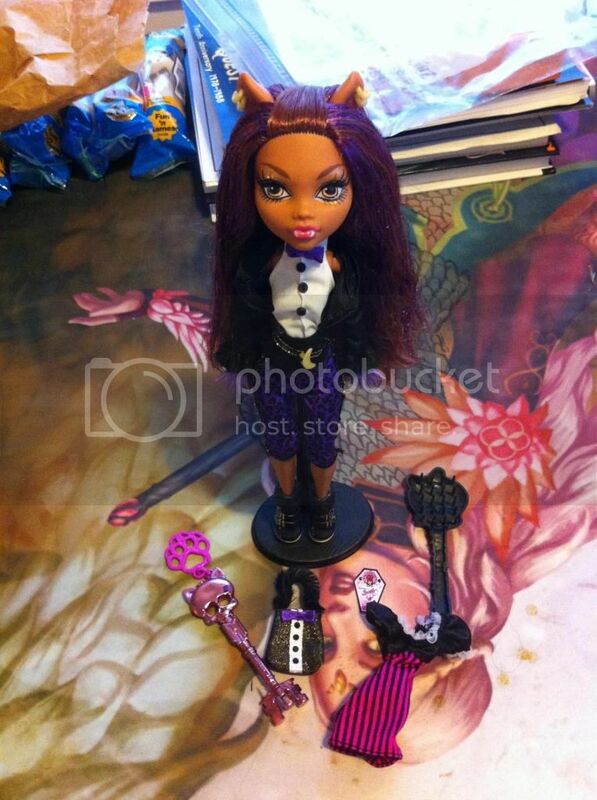 I'm selling off my Sweet 1600 Draculaura and Clawdeen. These are the original dolls, with the fabric purses. They come with everything shown in the photos. (Except the ElfQuest stuff, lol.) Feel free to ask questions if you have them! In the spirit of finally getting my apartment clean, I've dropped the prices to $10 each or $18 for both. You read that right! According to Crunchyroll, Monster High will be getting it's very own anime starting October 22nd in Japan. Little else is know except the expected air date and that a couple of seiyuu/voice actor confirmations. I found a great article on The Anime Hearld from an obvious fan who charts Mattel's thought process on creating an entirely new animated series and what it will likely mean for all audiences involved. My favorite part? New merchandise! So what do you think? I am totally on board, considering I love both MH and anime, and the designs look super cute! True to the original character designs, but only a little "anime-fied". I'm just hoping a fansub group will consider picking it up. I really hoping there's enough fan crossover to make it happen. Introductions! / Hello from the Bay! Hi everyone! My name is Michelle and I was recommended this board by a user on the Monster High LiveJournal community. I haven't used message boards in about ten years, so this is all very nostalgic for me! I'm 26 and I live in the San Francisco Bay Area, California, USA. 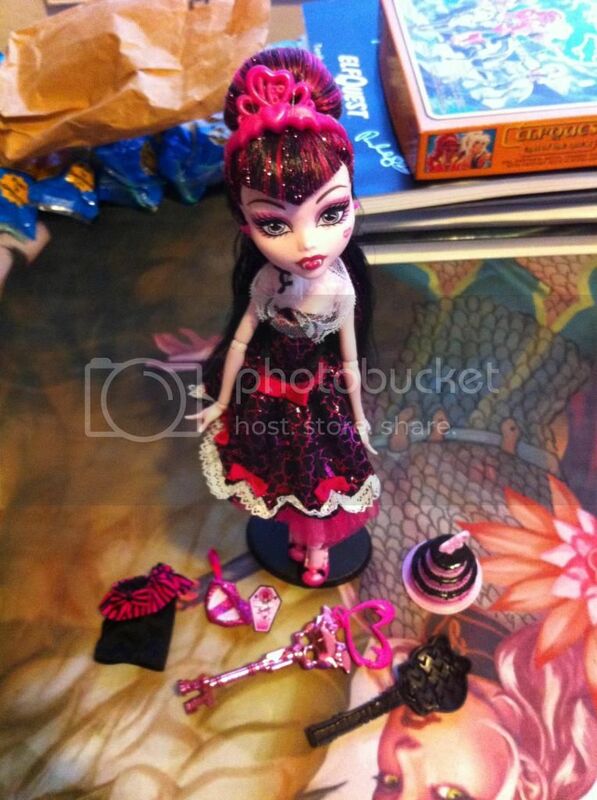 I started collecting Monster High dolls in early 2013 and Ever After High soon followed. I now have about 30 dolls, 5 Ever After High & 25 Monster High. I also have a small G4 My Little Pony collection, as well as a few other fashion & collectible dolls. I had a huge doll collection as a child, mostly Barbie and Disney dolls, and for whatever reason I simply put them away in my parent's basement and didn't think about them again until I saw a few (online) friends start getting into MH. I looked up the YouTube channel and marathoned all the webisodes within a week. After that, I was hooked, and I haven't looked back since. Otherwise, I'm your run-of-the-mill nerd who likes comic books, anime, cartoons and occasionally video games. I live with my equally-nerdy fiance and our dog in a tiny apartment full of mostly toys and books. It's pretty much the best life I could have ever imaged. Also, if anyone else lives in the Bay Area and is into MH/EAH/doll collecting in general, I just started a Meetup.com group for us! Please feel free to join and create meetups of your own, in addition to the ones I make. I really want to meet local collectors!